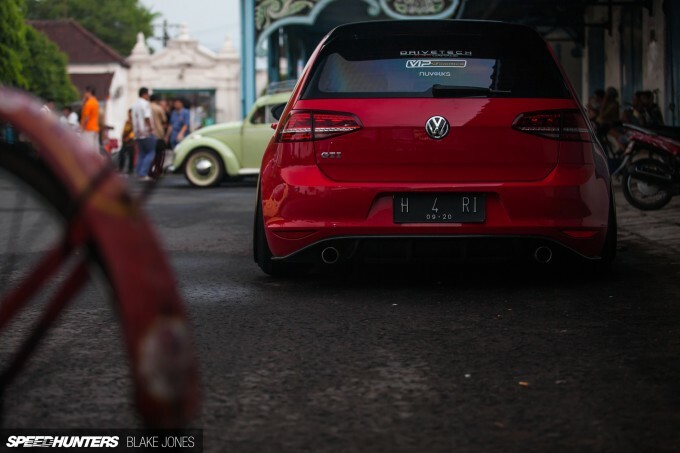 At last month’s Jogja Volkswagen Festival held in Yogyakarta, Indonesia, I had the honour of choosing two cars to be recognized as recipients of a ‘Speedhunters Choice’ award. One of those cars was to be selected from the small but quality contingent of front-engined, water-cooled VWs. 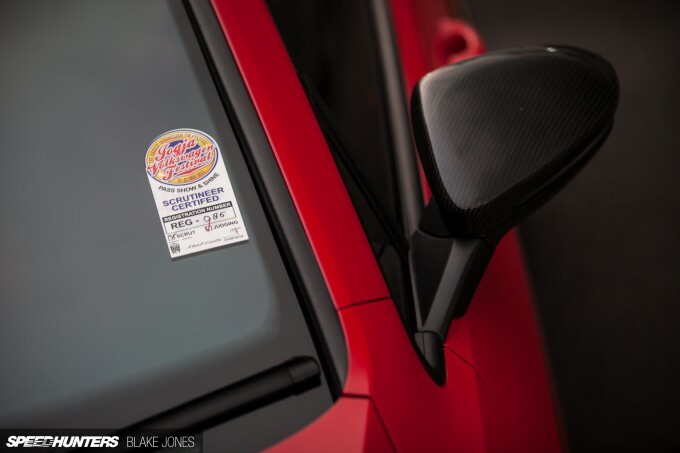 Typically, I would hunt down something performance-based; a car that has seen track time or at least has been modified in a way that has substantially increased its ability to go fast. 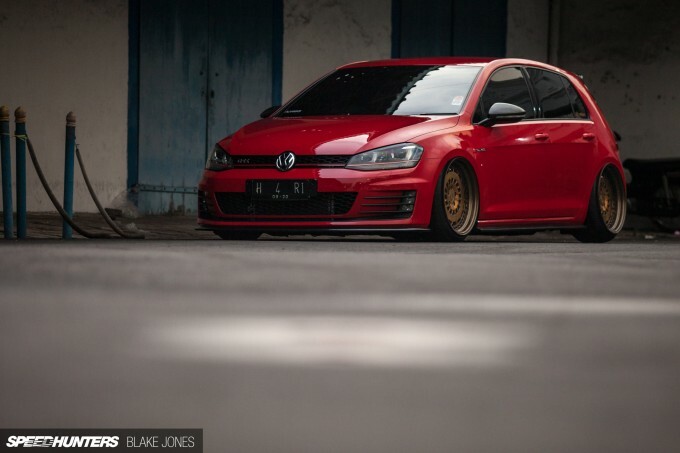 And although there were some purely functional builds among the ‘new timer’ ranks, I found myself repeatedly drawn to a Tornado Red MkVII Golf GTI that had rolled in from the nearby city of Solo with a crew known as the NuVolks Solo Chapter. The reason was straightforward – aesthetics. Volkswagen’s designers have refined the Golf’s shape close to the point of hot hatch perfection, continuously evolving from the MkV as opposed to a complete redesign. Dropped to the Expo Center floor on Rotiform wheels, it was impossible to find a bad angle of the GTI. It’s easy to write-off this build as being basic, but to me it represents the universal appeal that a simple drop and wheels can add in any corner of the world. 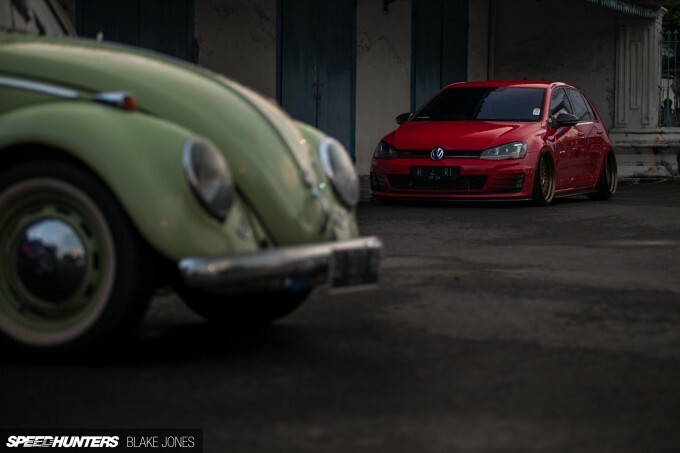 After all, getting cars as close to the ground as possible has been a part of the VW scene since, well, forever. The Jogja VW Festival was full of old Beetles, Kombis and Type 3s in various stages of low, all undeniably cool. What the owner, Fandy, and the team at Drivetech Auto Garage have created here is a modern interpretation of that age-old approach to building a cool cruiser, and it looked right at home amongst the eclectic classics of JVWF. This MkVII also makes a lot of sense considering its context. For the most part, Indonesia’s roads are a mix of congested urban labyrinth and sketchily surfaced arterial links, so building a car for outright street performance is mostly an exercise in futility. Air suspension allows Fandy to cruise around the potholes and chaos at a safe height, then drop the chassis to the floor at a touch of his iPhone. Sure, Drivetech could’ve gone for more power, stiff conventional suspension and a rorty exhaust, but that’s a recipe for frustration and headaches in a daily driven car. 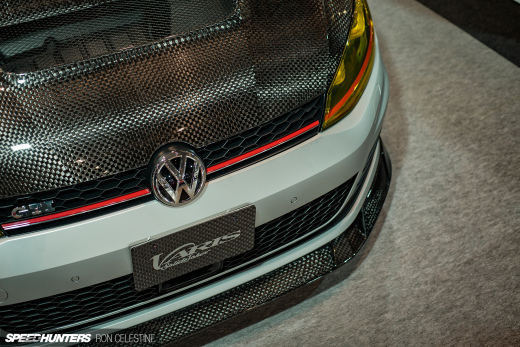 Drivetech is building a strong reputation in Solo and further afield for its performance-oriented work with late model European and Japanese cars, the latest creation being this MkVII. It was fresh for the show, and the guys at the workshop have plenty more planned for this little GTI, although the overall look and feel won’t be upset. Inside, things have stayed as the factory intended, which is understandable considering that VW pretty much nails the mix between quality, comfort and performance. The same can be said for under the hood, where the GTI’s 2.0-litre turbo engine remains mostly stock. 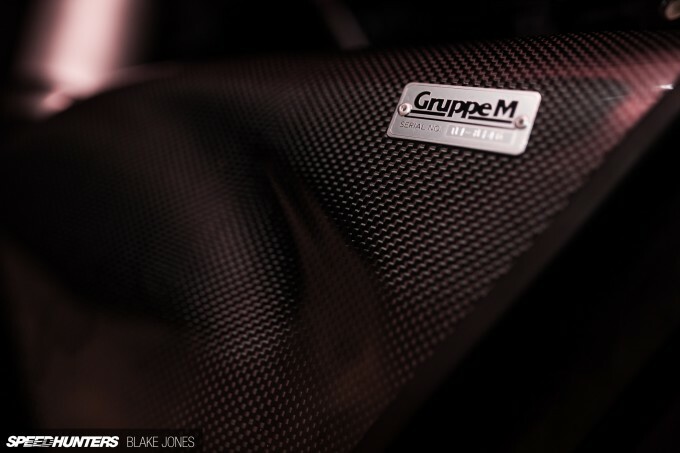 The exceptions are an upgraded intercooler and the gorgeous Gruppe M carbon fibre ‘Ram Air System’, which will soon be joined by a full Armytrix exhaust system and a stage 2 Revo flash tune that altogether will raise output to around 320hp. Responsible for the other kind of air is an off-the-shelf air ride system from Air Force, with the compressor and tank cleanly installed in the rear hatch compartment. At a complete drop, the stock fenders kiss the lips of the 19×10-inch forged Rotiform CCVs ever so lightly, and the same goes for the 19×11-inch rears. During my short stay in Indonesia I saw some questionably modified cars, but this was not one of them. A great base car, a selection of top-shelf parts and getting that stance spot-on is a recipe for success anywhere in the world. Melbourne is filled with bagged golfs. Pretty tired of seeing them tbh, but still think they look good just like this one does. Speedhunters where were the cars like this when we used to play footy on the street? Would have saved a few scuffed knees climbing under! First: This is a nice looking car. Second: If "the stock fenders kiss the lips of the 19×10-inch forged Rotiform CCVs ever so lightly" when stopped then any vertical movement of the wheel from a bump or undulation in the road will make the wheel hit the fender. Only harder. Third: Having the wheels contact the body by choice makes this a questionably modified car. NicholasMaher You left out the most important part of that sentence: : "At a complete drop" i.e. when aired out. If you weren't in such a hurry to find flaws in things and you probably would have noticed the photo with the complete air install too. Paddy McGrath NicholasMaher You're right I missed that important detail. Possibly. 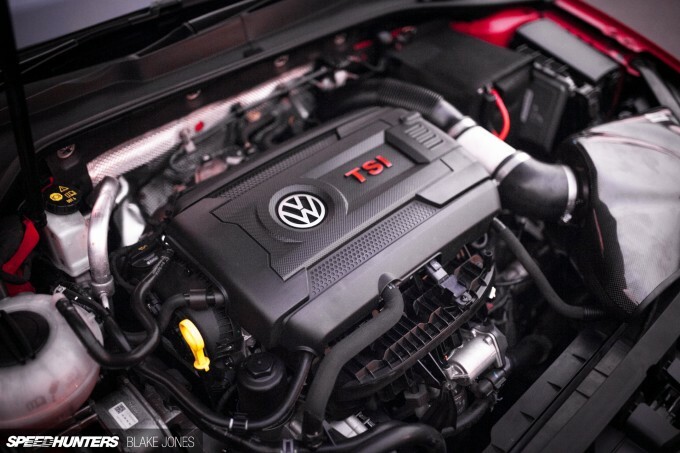 @RZA "The same can be said for under the hood, where the GTI’s 2.0-litre turbo engine remains mostly stock." Does it look good? 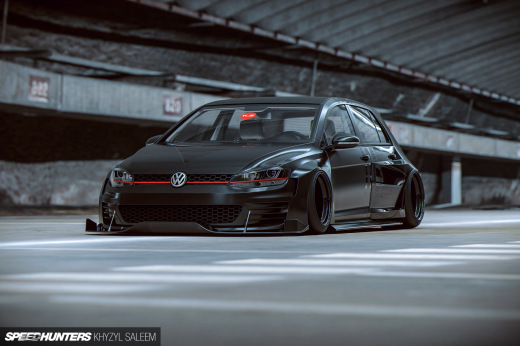 Or is it just another Golf on air ride and rotiforms with silly rear camber. I've almost become immune to cars like this now.. they all look the same. I'd rather see it a decent ride height, with a slightly smaller wheel that fits properly. Finally, someone who shares my opinion!! All of these look the same. "questionably modified cars", lol I know what you mean. 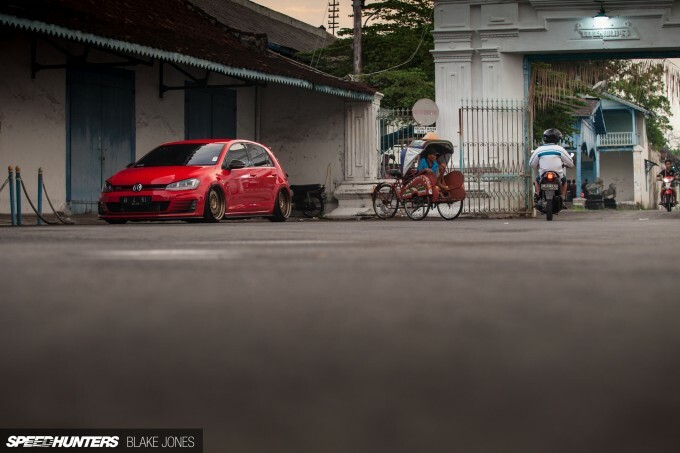 It's a pain to see those cars represent Indonesian modified car culture. Hopefully more cars like this Golf will turn up in the country. Jay_TrackAddict Yeah! All those ubiquitous stanced VAGs and BMWs makes me puke, because all what they do is put some coils, wheels and slam. Oh also some hipster/swagster stickers are present. 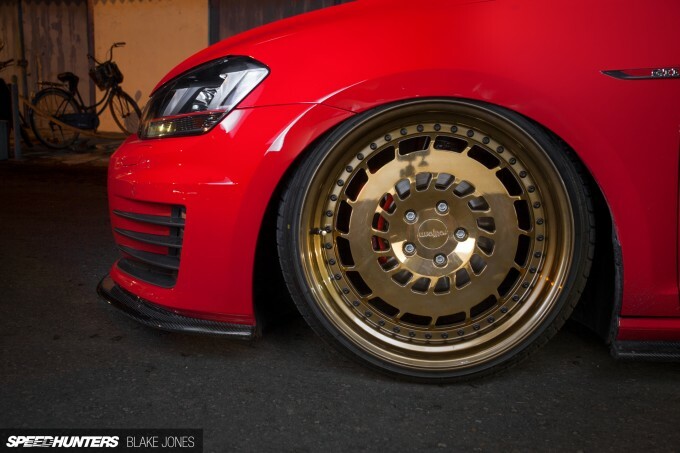 Jay_TrackAddict "I'd rather see it a decent ride height, with a slightly smaller wheel that fits properly." And, that will help it stand out more? Nice set and post Blake. Cool to see that wheels and a drop (or rather slam here) is universal. @open your eyes you never voice an opinion. Rather, you just end up bashing whatever it is you don't like. There's a difference between voicing an opinion and being downright rude. Jay_TrackAddict You "rather see it a decent ride height, with a slightly smaller wheel that fits properly."??? Don't you mean like an average day to day Golf? Why don't you just close the computer and open the window to watch cars outside on the street? Maybe that's the way you want to satisfy your car passion. Jay_TrackAddict I agree , I'm a vw fanatic, but they all look the same at the end. If the car is not scraping they bash you. I prefer a nice useful track stance, and performance. Hell , even a stock well maintained car at the end if you decide to sell it , you'll get most of your money back. 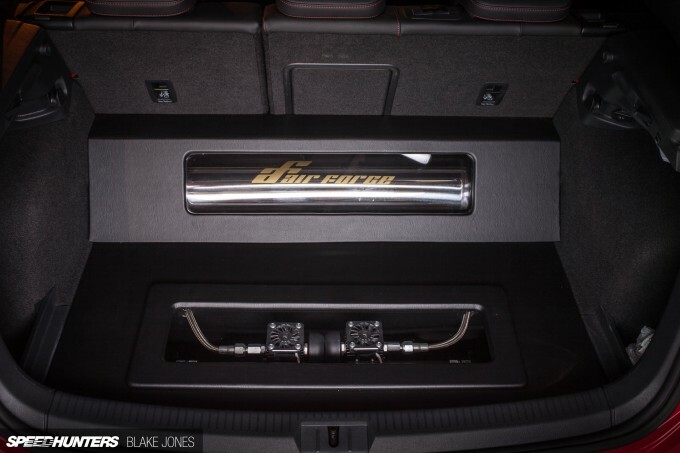 Jay_TrackAddict I can't believe in 2015, people still aren't aware how air suspension works. That's not its driving height. When it airs up, the camber will come back in line too. Everything else is subjective, but remember that it's not your car nor did the owner build it for your approval. If the builder doesnt care for the people's opinion than why is it featured on dem interwebz? Because the owners of these cars are 99% attention hoes. @open your eyes Probably because he was asked. It's not like your comments are for attention, right? What with all the valuable and intelligent contributions you've made here recently. Wow Blake, awesome shots. I came here just from your header-photo. Rotiform are making some pretty awesome wheels. My favorite wheel company as of late. NicholasMaher Do people even read the story or look at all the photo's, or just jump straight to the comments to complain about "stanced" cars on SH? Did you ever stop and think English may not be their first language? Did you ever consider an outside factor for their incorrect syntax and grammar? The car is in Indonesia, not England. 90nissanS13@my350z If that's an attack at me, perhaps take the time to realise that I was on the side of RD_godzillaR35 and instead of having a go at him, I was correcting MR Grammar police who while trying to be rude also made a mistake. No buddy, I'm not addressing you. I got a chuckle out of your remark. 90nissanS13@my350z Thanks for the kind words! 90nissanS13@my350z All good then. Your reply had no "@ name" next to it and was straight under mine, so I wondered. Bad assumption on my part, although after I posted I saw you had liked my comment so I figured it wasn't. Jolteon The car scene is still developing so I can forgive the 'questionable' builds for now, and the creativity is still impressive in it's own right! All good! That's what you call a lazy smartphone comment. Spaghetti NicholasMaher I have done both, though not on purpose. I have no issue with stance done correctly. This car is good because it's on air which I failed to read. I do have issues with and will criticize without fail cambered car like The Roadster Gets Slammed Miata. Doing that to a car is senseless. The same with Raising A Middle Finger: The Freakin Works Z32 though I didn't bother. At a car show I would not even look at that POS. Without the mentally challenged camber (and other design concept challenges that certainly are problematically executed) I would because that generation of 300ZX are great looking cars that GO, and you never see them anymore. I will close with this: anybody can build whatever they want but if you use your brain more it generally works out better. 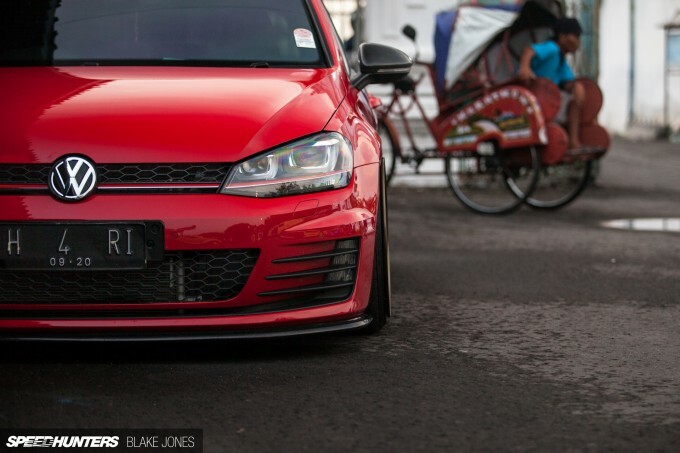 No disrespect to Rotiform or those that love their wheels....I know the BBS RS/slant lip etc is considered "played out" for the VW/Euro scene but I'd love to see some different wheels out there in Internet'dom. I felt like every late model car had Rotiforms at SEMA and it left me with a sort of bad taste in my mouth...the crowd cheers "we want more real wheels!" Paddy McGrath I understand how it works I just dont like the way any car looks when its completely on the deck. @open your eyes You completely avoided my point. 99% of your comments are completely unnecessary. All you ever do is attack someones work for whatever ridiculous reason you may come up with. I guess I have to quote myself because you must not have noticed the first time. "There's a difference between voicing an opinion and being downright rude." Get it? there a fine line between disagreeing with someones build, and outright attacking it. Give it a week, and you'll probably do exactly what I just explained. Ujean This could never be Paddy McGrath's car – I spy a speck of dirt/dust on one wing mirror. ... Was that some sneaky "Amazon.com comments" style attempt to push people towards searching for a hashtag? Cos like, it came across as some sneaky "Amazon.com comments" style attempt to push people towards a website. I saw one or two VWs modified like this when I was out Christmas shopping the other day. They'll never get a blog feature, but for some reason this one did...? OscarPais It's a shame none of them fit properly! I should have added constructive critisism. Nice car, but not worthy of a feature. Maybe speedhunters could start a readers rides type of section where you can show several readers cars a week in one post and save the real articles for truly badass machines like that time attack Subaru, the ford ratrod, and so forth? Therealstig This isn't a feature though. It's a spotlight i.e. a quick look at a cool car. Feature cars will have multiple chapters and a comprehensive spec list at the end. Maybe we could do more to differentiate the two? Anyways, it's not like there's only a finite amount of space available on the internet. I'd rather see this than nothing at all. ... damn dude, so much hate over an internet Z-list celebrity... come on, level with me, did you date her and she didn't put out or something cos like... I'm sensing some issues. @Fabrik8 do you live in a developing country? Were those cars representative of a maturing local car modification scene? I didn't select this car just because of the way it was built, but for what it represents in both Indonesia and further abroad. hello from jakarta, indonesia. 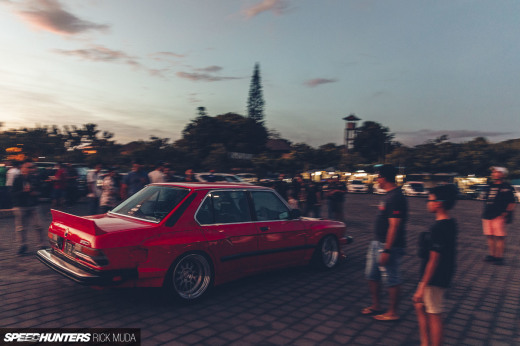 i like this car actually, in indonesia its rare to see someone using Air-suspension or even original Rotiform wheels.. cos in our country its too damn expensive you know.. Cool so you're writing about cars that are 'gonna' be modified now? I'd see 10 cars like this just driving to work in Sydney. Try raising the bar when it comes to cars you choose to feature. TarmacTerrorist different country man so it would be rather difficult ,hate is a very strong word, but since your quite focused on keeping the topic on her and not the boring golf that got a feature i will leave it at that. You were slinging mud for no reason and I called you on it. Trolling works better when the comment is relevant to the discussion. Yours wasn't, it really did seem like you where trying to rise someone's site traffic, it was shoe horned in at the end was out of place. Besides, her car, her life. Why let it affect yours? This owners car is his and he can do what he likes. This is the reality of actually owning a car and modifying it in the real world. We can't all afford carbon shells and LS swaps. can you do better? Do you have better? Yes the recipe is a simple one but it's the high level of the execution of such simple details that makes it worthy of a spotlight IMO. It's a nice car. Simple. 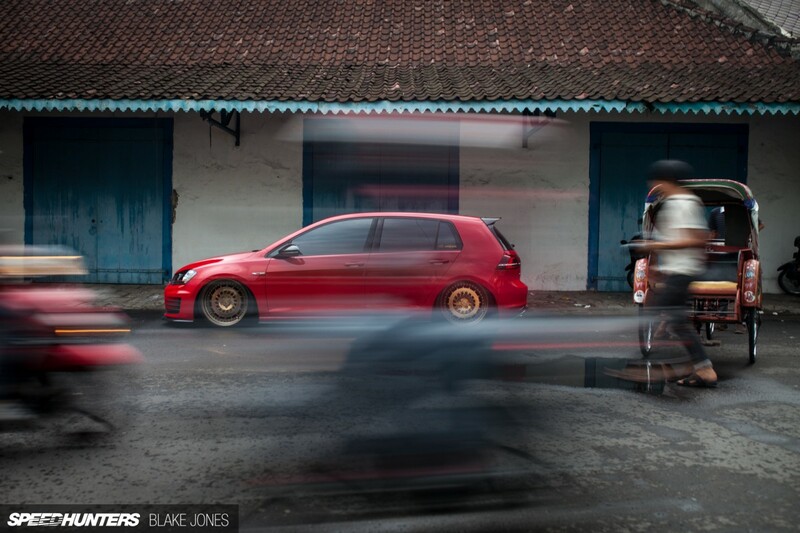 Speedhunters come to Surakarta ! Nice ! The number plate tells me that the car are from surabaya..
Alcyorr Nope. H plate is for central java: Semarang, Salatiga, Demak, and surrounding areas. Surabaya plate has L prefix.